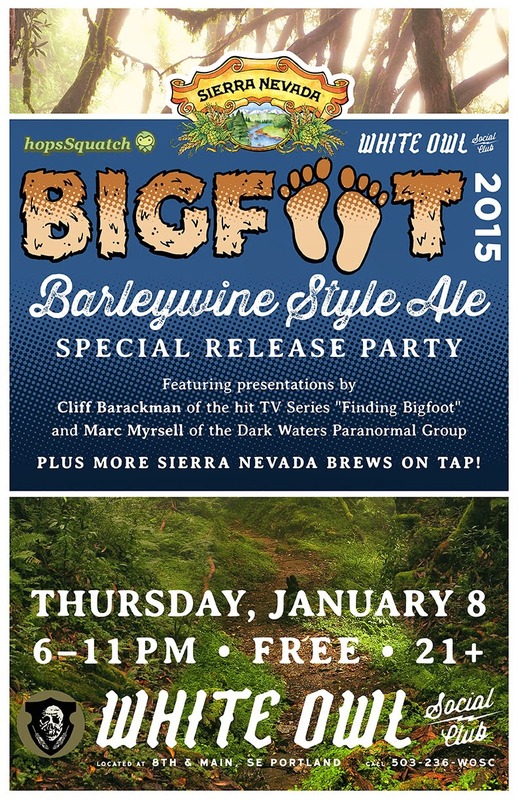 Feb 15th HopsSquatch Presents Bigfoot History from 3 Perspectives; Native American, Pioneer and Modern. 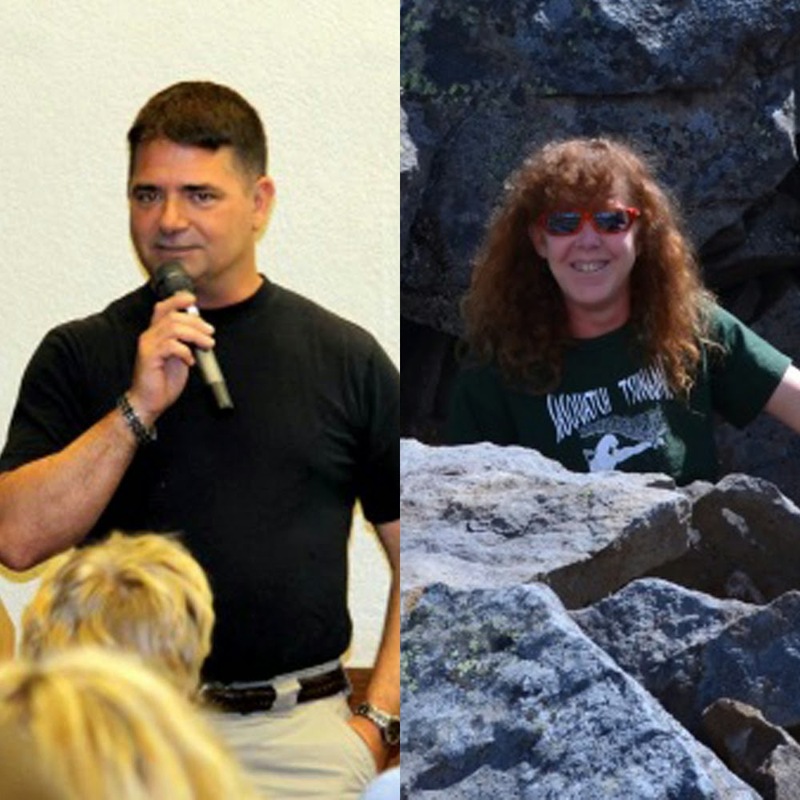 We are very excited to kick off the official hopsSquatch year with the Bigfoot community's power couple, Todd and Diane Neiss. 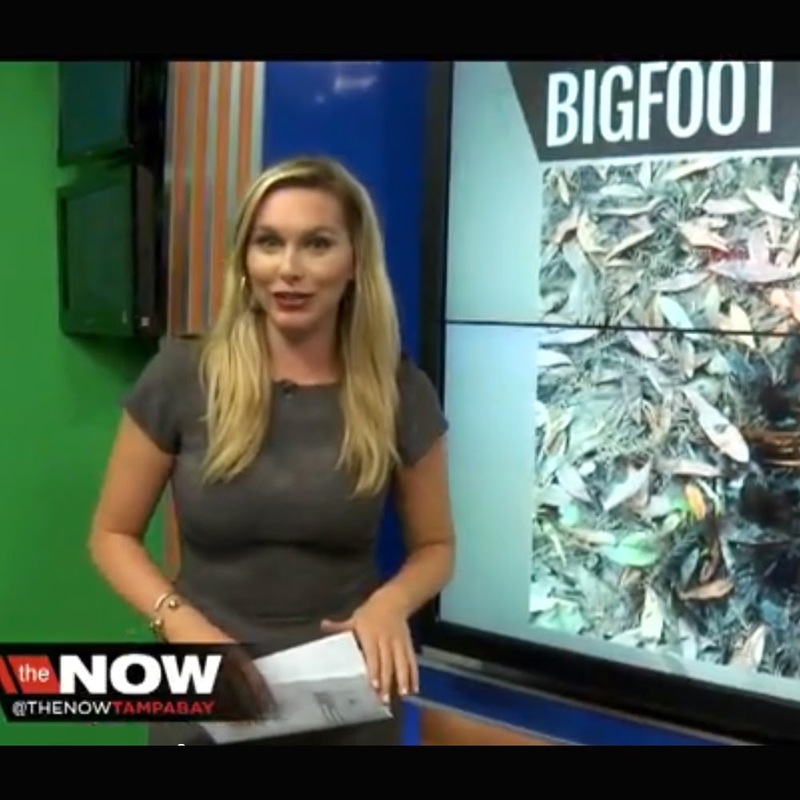 In a Wall Street Journal article titled Bigfoot Isn’t Just a Mythic Figure, He’s an Investment Opportunity, a journalist reports on an initial public offering filed by Tom Biscardi to raise millions dollars by selling stock in Bigfoot Project Investments. With only sales and assets totaling a little over $6000 they are able to leverage a new 2012 law that allows start-up businesses to raise cash by offering stocks to the public through an exchange. Companies like Twitter have leveraged the same law. After John Green, Thomas Steenburg is probably the best known Sasquatch researcher in Canada, focusing most of his work in Alberta and British Columbia. Like most long-time researchers, Thomas Steenburg's research and perspective was offline in books and conferences. Fortunately this year, we may get more access to Mr. Steenburg's insights online via Thomas Steenburg's YouTube channel and his brand new website aptly named ThomasSteenburg.com. He is even making the local news. In a recent article titled, "B.C. 's Sasquatch investigator Steenburg investigated Norgegg reports," he gives John Green credit for laying the goundwork in British Columbia while modestly adding his own contributions to Sasquatch research in BC. Steenburg added that his initial exposure to sasquatch sightings came when he lived in Alberta’s Nordegg area. 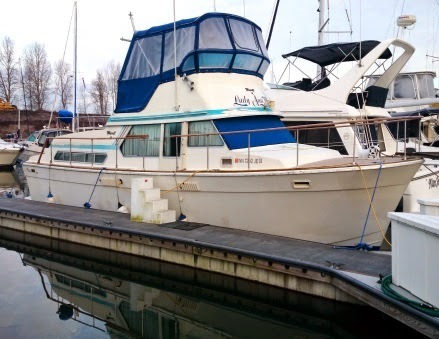 When he was called out to investigate, he went two or three times to B.C. for one local investigation. He added that the construction of the Bighorn Dam seemed to put a stop to sasquatch activity. 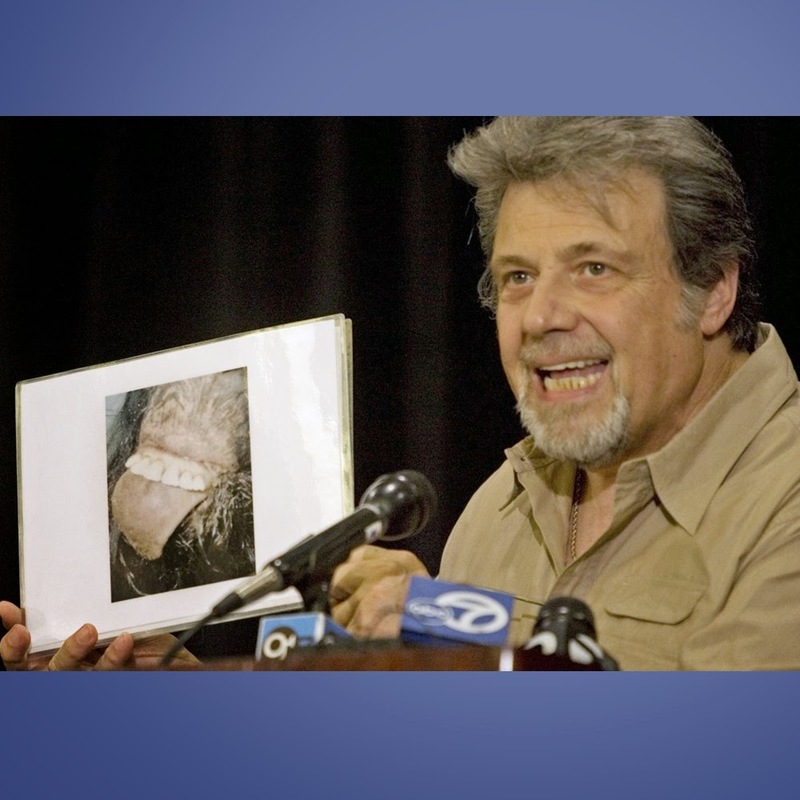 So far, his website has three posts: The Ongoing Sasquatch Question, BE PREPARED and Hucksters and Hoaxers. At Bigfoot Lunch Club we are looking forward to more of theses bite-sized insights from one the most prolific thinkers in Sasquatch research. Below you can witness for yourself the thinking process that is unique to Thomas Steenburg. 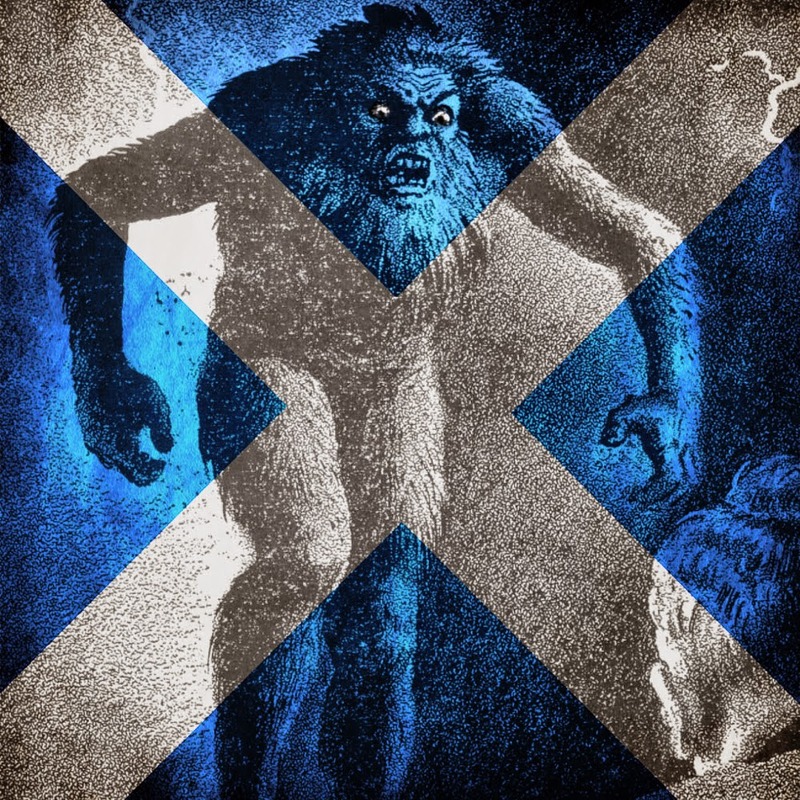 A British news source, the Edinburgh Evening News, reports on a 41 year-old woman who has had two Grey Man encounters and continues to research Bigfoot all over Britain. 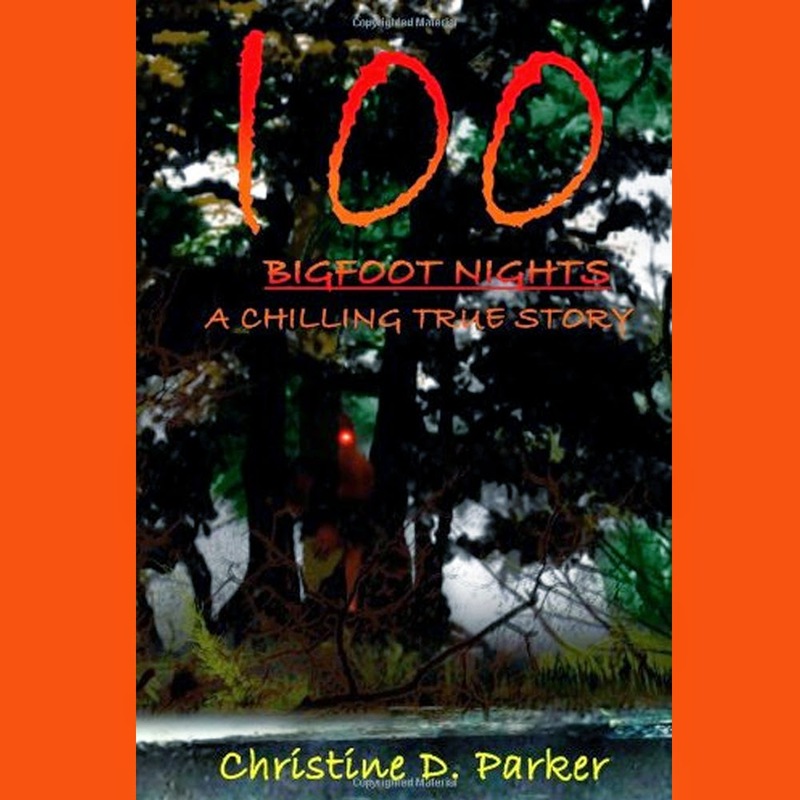 Charmaine says she spotted a 7ft bigfoot as a child and since then she’s been fascinated by all things Sasquatch - gathering details of 200 reports of the creatures in Britain, including 50 in Scotland. Her interest in the subject was sparked after she saw a “large black figure” with no neck and broad shoulders while walking her gran’s dog in remote woodland near Arbroath, Angus, as a child. She saw a similar creature in the same area shortly afterwards and recalls how it had a “humanoid shape” and eyes that shone orange when headlights picked it out in the darkness. She also heard a “long, deep wail” in the same woods and thinks it could have been the call of the as yet undiscovered animal. Mum-of-one Charmaine, who has a degree in psychology from St Andrews University, said: “I saw a large black figure with its back to me. “It was reaching up to a branch on a tree at the side of the track and was about 7ft tall, thick build with no neck and wide shoulders. Click to read the entire article at the Edinburgh Evening Newstitled, "Yeti hunter looking for Scottish Bigfoot"
In America Unearthed, forensic geologist Scott Wolter, a real-life Indiana Jones, reveals that the history we all learned in school may not always be the whole story. In Tracking Bigfoot Scott Wolter investigates the phenomena of the sasquatch himself. The series description is below. 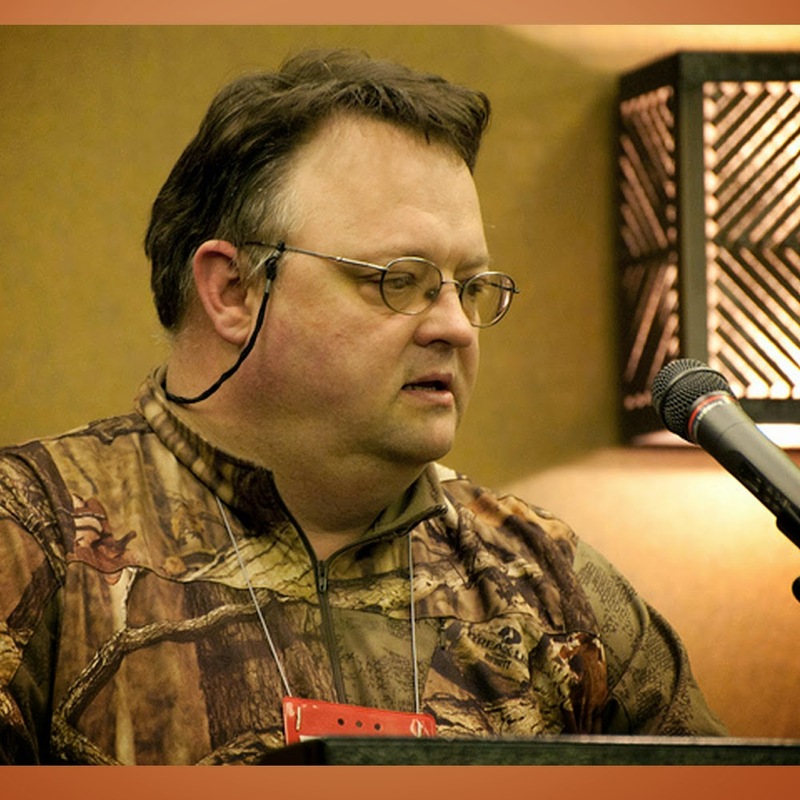 Scott Wolter does not believe in Bigfoot, but he sure hears a lot about it. That's because the earliest Bigfoot sightings were supposedly recorded in the rocks. 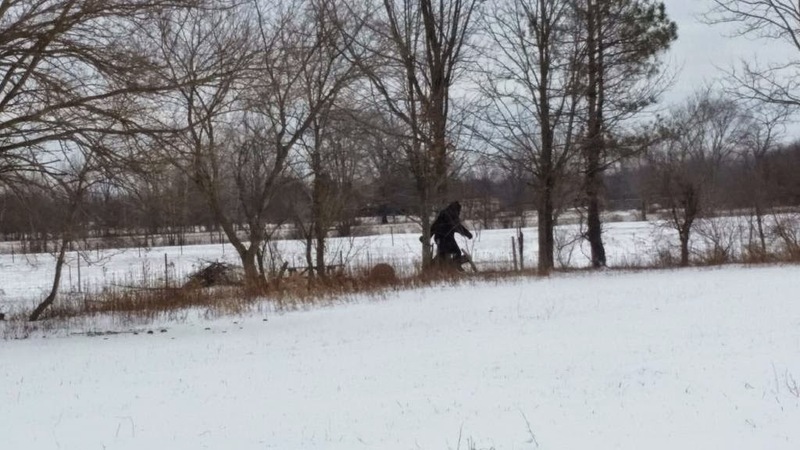 Lately, reports of the big beast have started popping up in Minnesota his home state, so he heads home to investigate. Watch the news segment regarding the newest after the article highlights below. 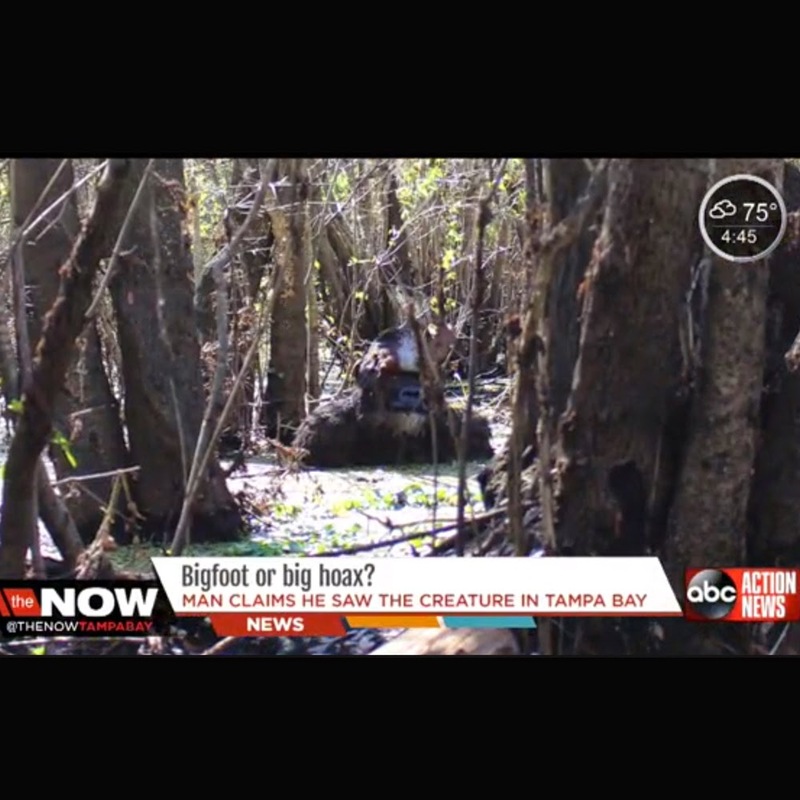 TAMPA - Bigfoot is back on the radar at a Tampa Bay park. Now a second person sent us a different photo of a footprint. The report continues to give more details on the footprint photo. 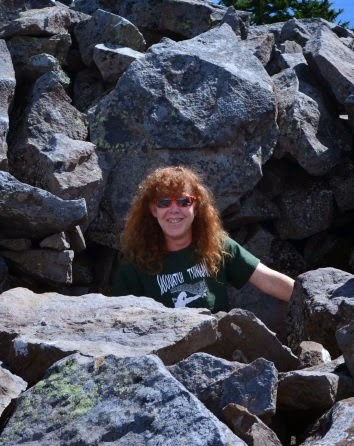 Now more alleged Bigfoot evidence, this time a woman taking a picture of a large footprint. She says it was twice as big as her woman’s’ size 9. Looking at the details behind that photo, it shows it was snapped with an iPhone6, doesn’t look altered. Whatever you believe, Legan says, with how popular the park is and the fact a three story tower looks over it, she thinks it would be hard for bigfoot to hide. “You can see down the river, and up the river,” Legan said. An image expert took a look at the photographs. His conclusion is that the photos are not altered, rather staged. 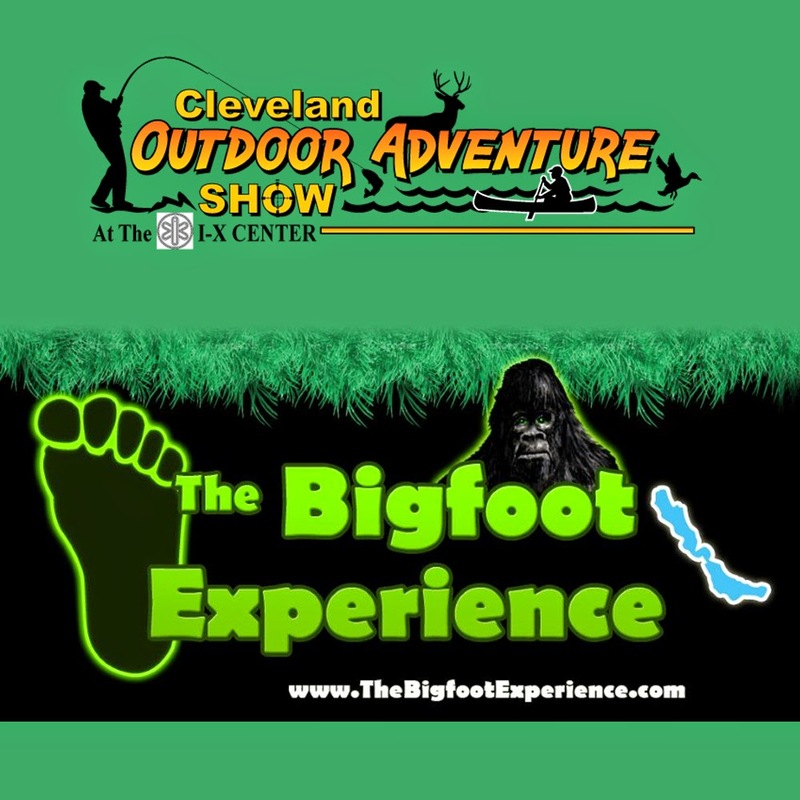 Click the following link to read the full article titled, "Another alleged bigfoot sighting in a Tampa park"
Starting Friday January 15th 2015 you can witness the Bigfoot Experience.This seminar gives attendees the past history of Bigfoots/Sasquatch in the USA starting as far back as 1818. 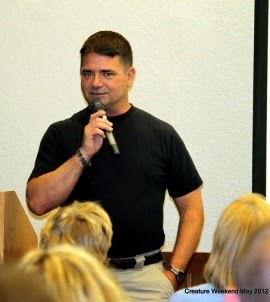 Last year's seminar, attended by thousands, showcased several eyewitnesses to a Bigfoot sighting spoke about their sighting. 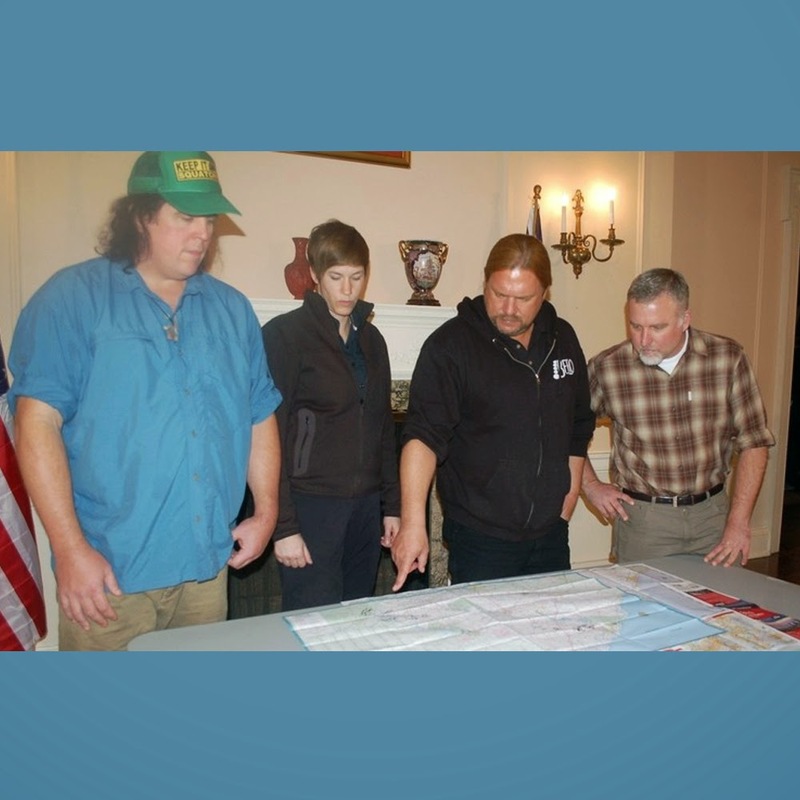 One from Ohio, one from the West Coast and a 14 year old young man from Cattaraugus County, NY who saw a Bigfoot when he was six and again last year in Cattaraugus County. The above video is from a local Fox affiliate promoting the event. You can catch The Bigfoot Experience at the following times. 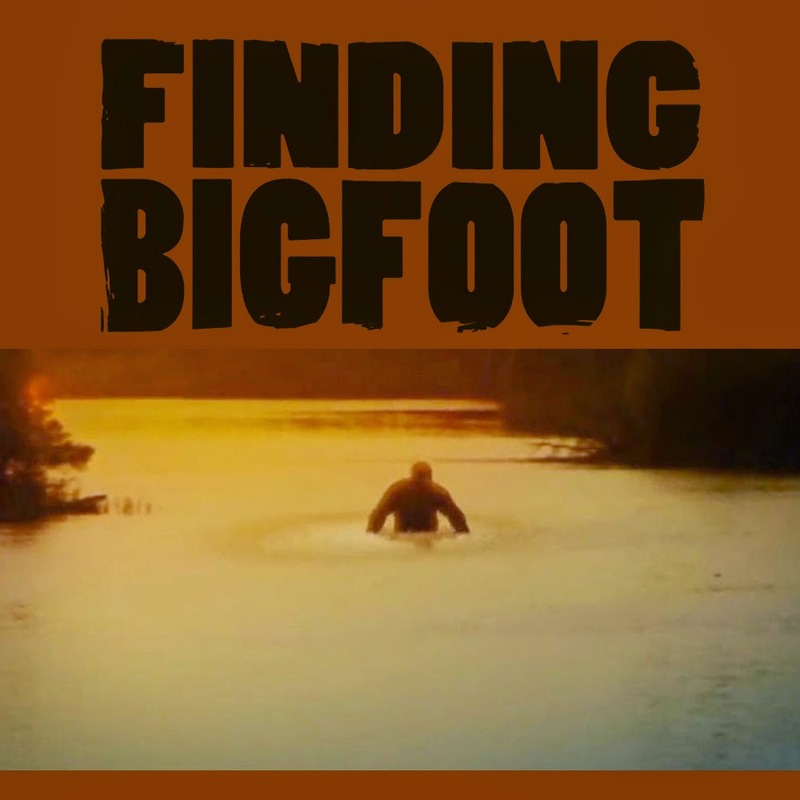 Since 2011 we have been following the latest latest bigfoot news regarding this found footage film. 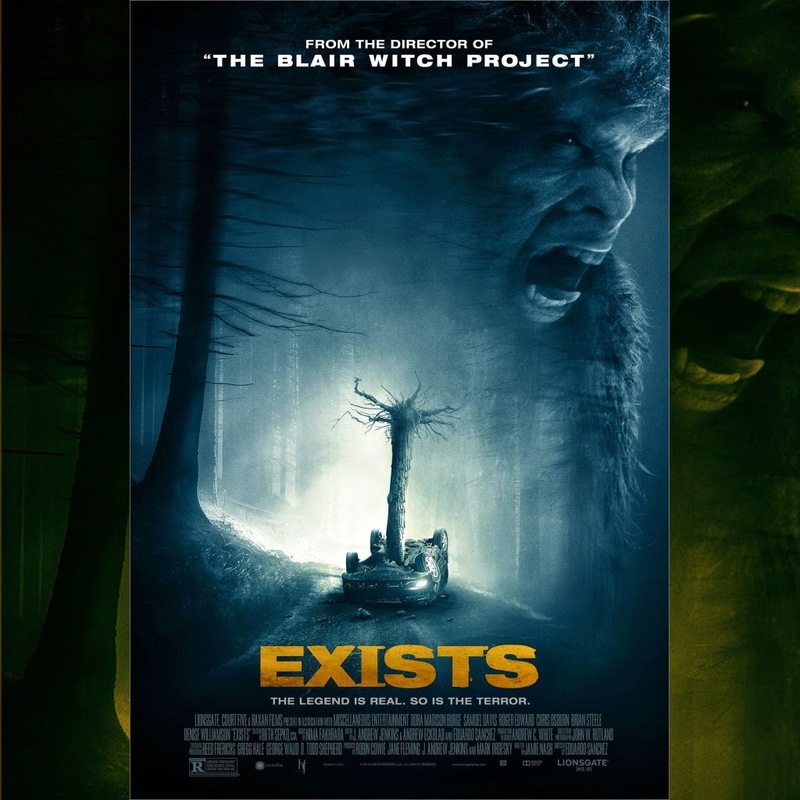 Initially we announced the Exists cast and the actor inside the Bigfoot costume, followed by Sanchez explaining the Exists trilogy, some Exists production footage and finished off with a great interview with with Sanchez prior to the screening at the SXSW 2014 film festival. Just in time to promote the new DVD + Digital release of Exists, Eduardo Sanchez talks with Dead Central about some of his thoughts behind the movie. below are a few of our favorite excerpts. The terrifying urban legend comes to life when Exists arrives on DVD (plus Digital) and Digital HD February 3rd from Lionsgate Home Entertainment. 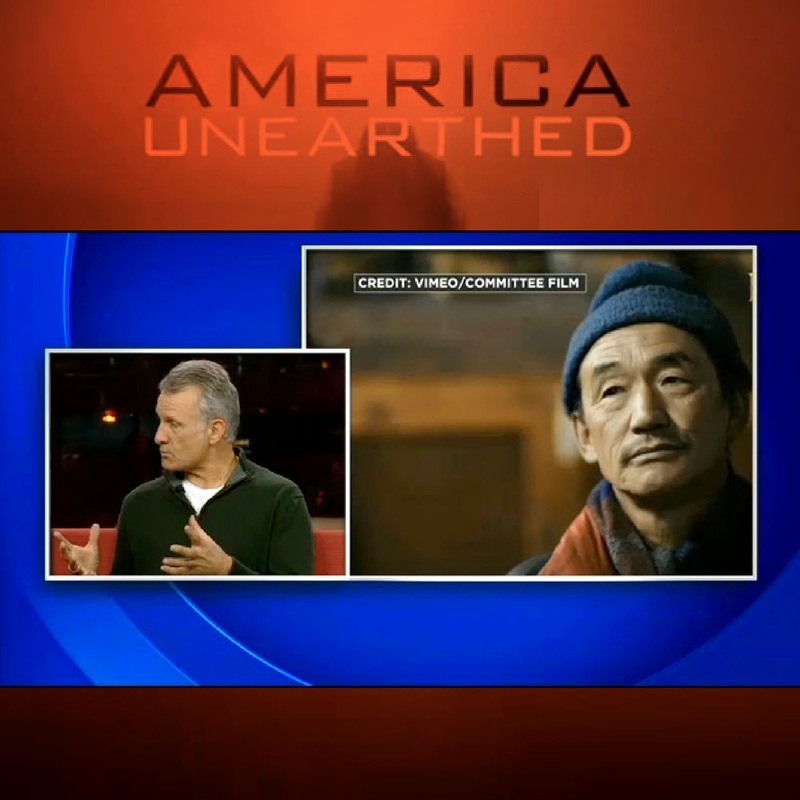 The film is currently available via On Demand. 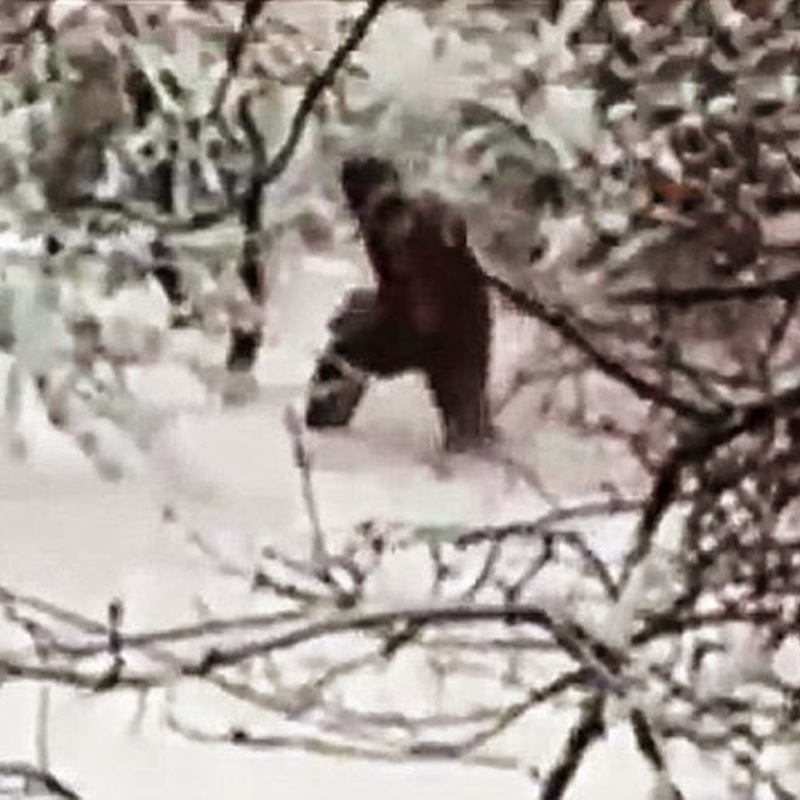 There are several news sources reporting the Russian yeti in the Snowy Woods video. 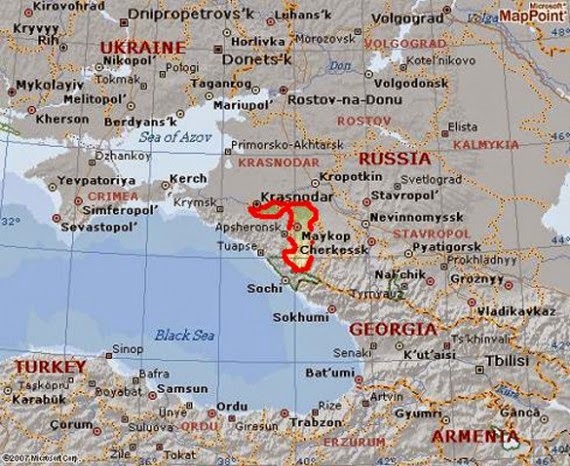 In a nutshell, it all began when the local rescue service received several calls regarding Yeti sightings in the Adygeya Republic, prompting a TV news report and finally an investigative team of friends capturing the bigfoot-like creature on film. 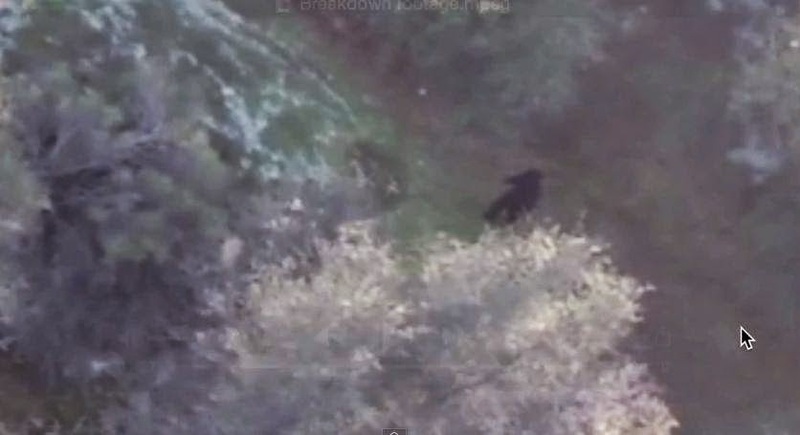 Read the whole Daily Mail article titled "According to some Russians this dark figure stumbling through the snowy woods is a Yeti"
The Express has a nice set of quotes from the witnesses who saw the dark figure walking through the snow. Ludmila Hristoforova, who claims to have seen a yeti figure, said: "The creature was big, looking like a bear, but not a bear. From the door we've seen something big and shaggy." Local homeowner Andrei Kazarian added: "I heard footsteps and we were pretty sure there was no one else around because we knew for sure everyone else was inside the house. "Although we didn't see anyone we saw its huge footprints. They were 5 to 6 centimetres deep and couldn't come from a human foot. "We took a plaster cast of them and we estimate that it probably would have taken about 200 kilos to press the snow down that much." Read the whole Express article titled, "Shocking new footage claims to prove the existence of the YETI"
The Mirror has a nice narrative from the investigators point of view as well as some reporting on the evidence. The local team then set off to investigate, and as they headed off into the forest said they were stunned when they heard the crunching of snow, and managed to grab footage of a hairy creature as it emerged from the trees. After taking a plaster cast of the alleged footprint, the group have now handed their findings to local scientists for analysis. 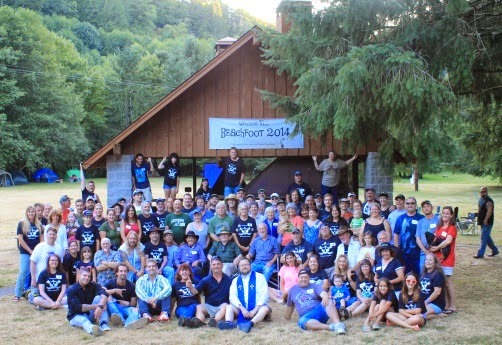 The entire Mirror article titled, "Is this proof of bigfoot? 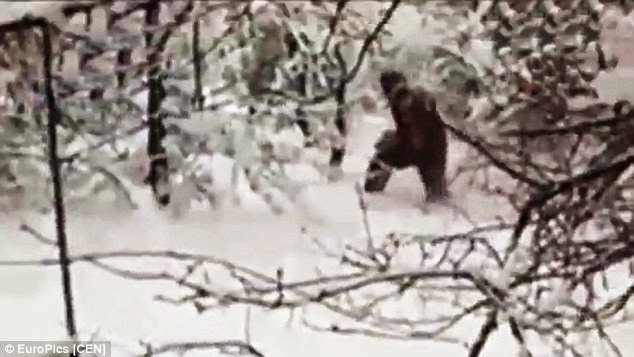 New 'yeti' video shows giant hairy beast walking through forest"
NETWORK NOW CASTING A SHOW HOST TO EXPLORE THE MONSTER LEGENDS AND MYSTERIES OF NORTH AMERICA.